Liz Robertson, co-founder of Robertson Languages, has been honoured with a prestigious lifetime achievement award at the Association of Translation Companies’ (ATC) 2017 Language Industry Summit Awards. Designed to recognise and celebrate success in the language services industry, the annual awards covering a range of categories were handed out during at gala dinner at the ATC’s 2017 Language Industry Summit in London. Liz received the Eichner Distinguished Service Award, recognising a lifetime’s contribution to the language industry. 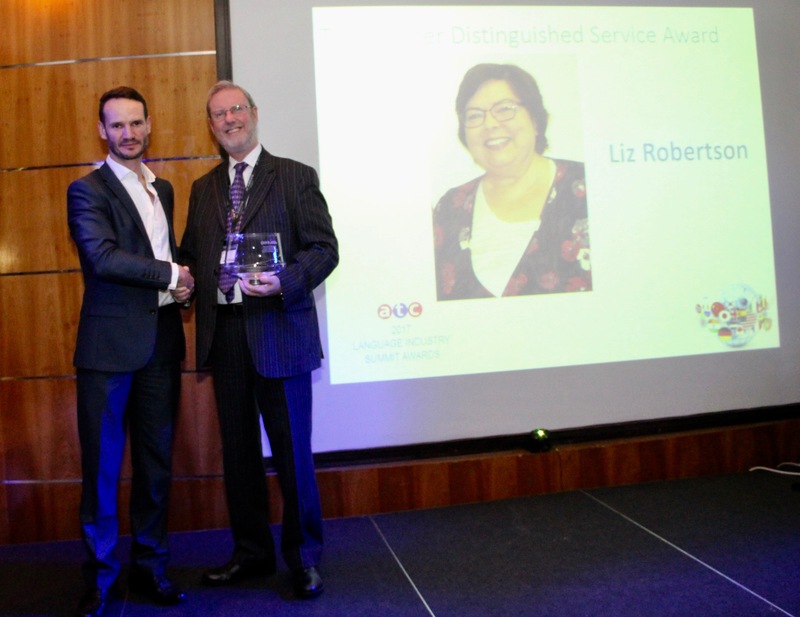 Her fellow director at RLI, Bob, picked up the award on her behalf. Liz’s influential work in the industry has included being Chair of the ATC’s National Council from 2006-2010 and being a former President of the European Union of Associations of Translation Companies. 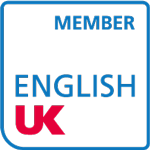 A founding member of the international group which developed the international standard for translations, she currently participates in the on-going development of ISO standards for the translation industry. She’s an Honorary Fellow of the Institute of Translation and Interpreting, awarded for her work on translation standards.